The 1 Bedroom Apartment is fully self-contained, featuring one king bed or two single beds in separate bedroom, lounge, kitchen, ensuite bathroom, laundry facilities and spacious balcony with resort views. 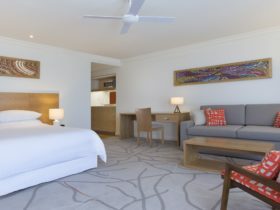 All rooms feature the finest fixtures and fittings with stylish furniture reflecting the relaxed Noosa lifestyle. A complementary buffet breakfast at the resort’s View on Little Hastings Restaurant and Bar is included for all guests. 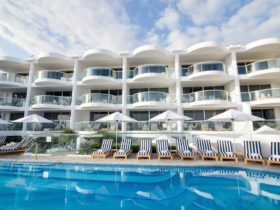 The 2 Bedroom Apartment is fully self-contained with two king beds or one king and two single beds in separate bedrooms, kitchen, lounge, ensuite and main bathroom, laundry facilities and spacious balcony with resort views. 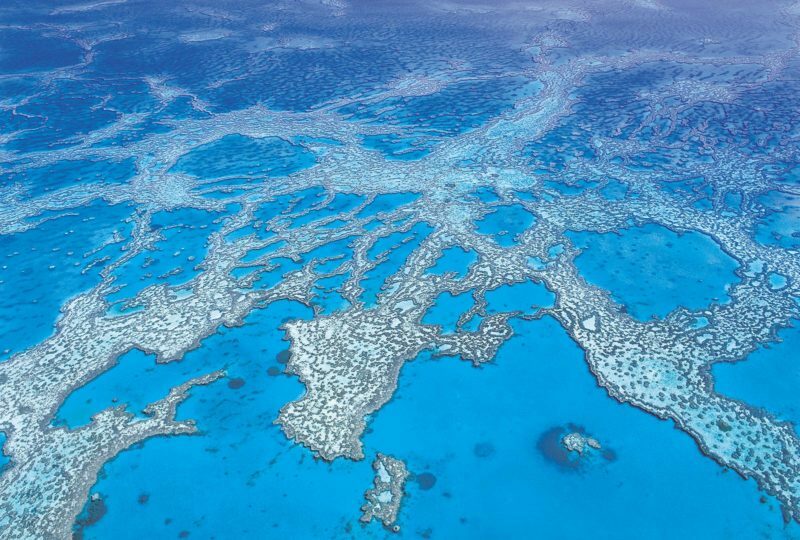 All rooms feature the finest fixtures and fittings with stylish furniture reflecting the relaxed Noosa lifestyle. A complementary buffet breakfast at the resort’s View on Little Hastings Restaurant and Bar is included for all guests. 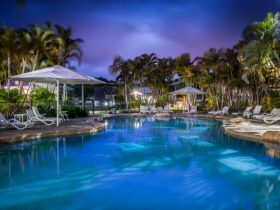 Featuring sweeping views over the lush greenery of Noosa National Park and out to the spectacular Laguna Bay and Double Island Point, you’ll love the 3 Bedroom Deluxe Villa. These lavish, open plan, self-contained villas are multi-level with one king bed, one queen bed and two single beds in separate bedrooms, expansive living and dining areas, full kitchen, ensuite, main bathroom and a powder room, laundry, large balconies and private garage. 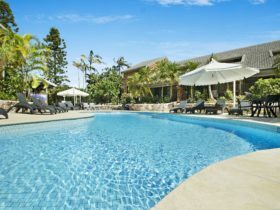 Deluxe villa guests receive exclusive use of the private ‘Brooke’s Pool’ set high on Noosa Hill overlooking Laguna Bay. 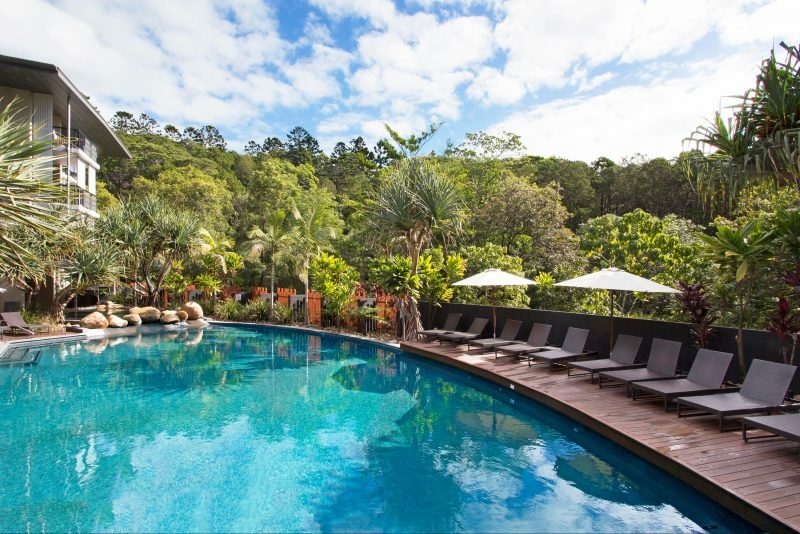 The 2 Bedroom Villas offers sweeping views over the lush Noosa National Park’s fascinating rainforest, along with private balconies off both bedrooms. Featuring a bread maker and deluxe hamper, personal concierge, private garage, fully equipped kitchen and laundry facilities, along with many other amenities. 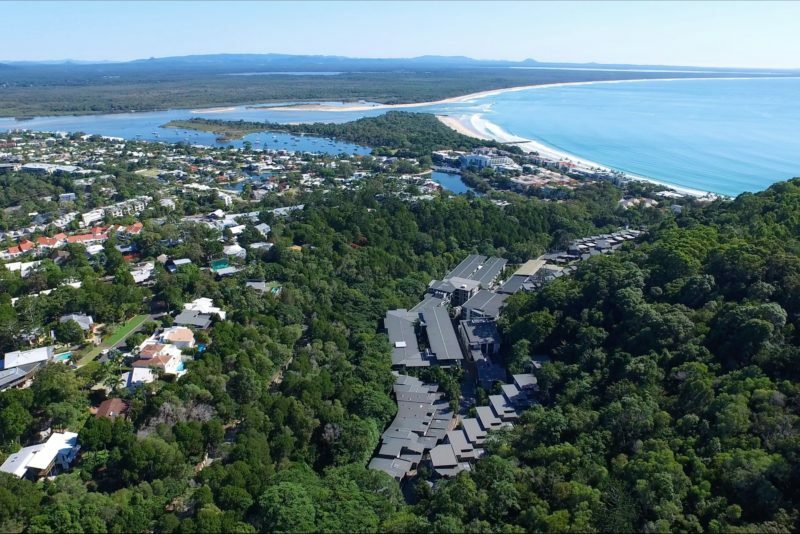 Four bedroom deluxe villas feature sweeping views over the lush greenery of Noosa National Park and out to the spectacular Laguna Bay and Double Island Point. These lavish, open plan, self-contained villas are multi-level with two king beds and four single beds in separate bedrooms, expansive living and dining areas, full kitchen, three bathrooms, laundry, large balconies and private garage. 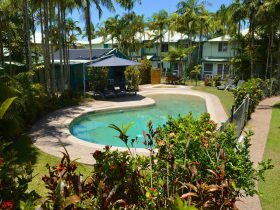 Deluxe villa guests receive exclusive use of the private ‘Brooke’s Pool’ set high on Noosa Hill overlooking Laguna Bay. 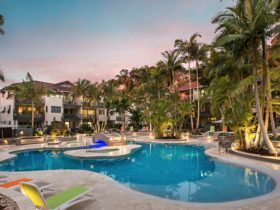 In the 4 Bedroom Grande Villa you’ll find a spacious living area opening out onto a large balcony with views across to magnetic Laguna Bay and Noosa National Park. Features include cable TV, a full kitchen and laundry facilities, bread maker and deluxe hamper, private garage, air-conditioning and bedding of two queens and four singles.